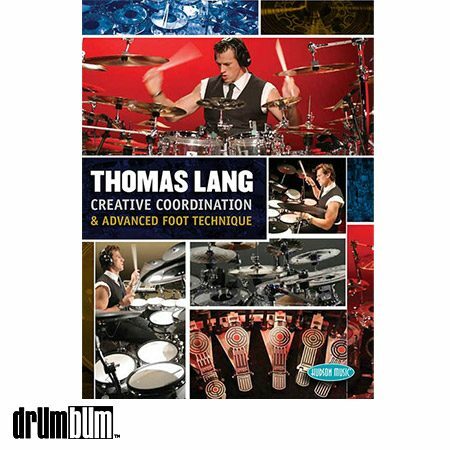 Thomas Lang: Creative Coordination Book/CD – This book, Creative Coordination & Advanced Foot Technique, is the ultimate guide to the challenging and awe-inspiring world of advanced cutting-edge 21st-century drumming techniques! The book details Thomas Lang’s extraordinary methodology that will help you take your own creative and technical abilities on the instrument to heights you never dreamed were possible, and in a much shorter time than you ever imagined. Softcover Book approx. 9″ x 12″ and 148 pages.